If you want to know how difficult it is to be in recovery from substance abuse and try to have a baby and try to hold your family together, read this article. We're proud of our friends at Freedom House, and all the work done by Volunteers of America. They truly are doing the Lord's work among Mothers in recovery. 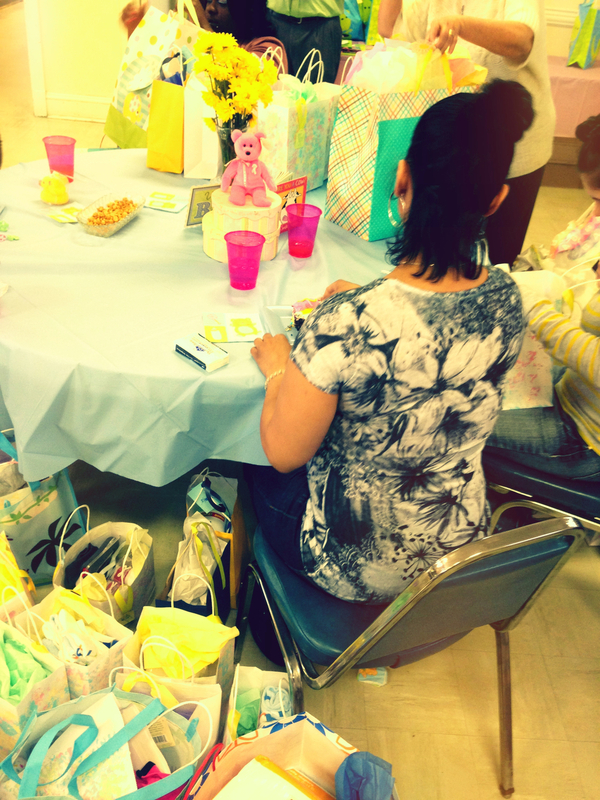 This afternoon (Sunday, April 21) members from DBCC gathered together to throw a baby shower for the women of Freedom House, a drug treatment program for women and their children, run by Volunteers of America. Church members bought shower presents for eight women, as well as larger gifts to be distributed by Freedom House. Good times? Only if you like cake, presents, and love! Thank YOU for making their Holiday special. Come join us in the Robsion Family Life Center for a Mexican Fiesta meal! We'll have all sorts of Hispanic-inspired cultural dishes. All donations from the meal will be attributed to our Mission Trip Fund! Feb. 5: Super Bowl Party! If you haven't already bought your catered tray of hot wings, come on down to the church and hang out with us for Super Bowl XLVI! Whether you are a die-hard football fan, or prefer to partake of snacks and non-sports related conversation, please feel free to join us. We will also be visited by our friends from the Grace and Freedom House. Join us for a follow-up to our January 7th Event Planning Meeting to dine and discuss the progress of our 2012 events and ministries. As well as discussing plans in greater detail, we will also be giving dates to those events who have progressed to a hard date. This is also a great chance for those who couldn't attend the Jan. 7th meeting to offer their support and assistance for one or more of these initiatives. To raise money for the Mission Trip, some of the members have donated some of the fabulous desserts for auction. Bring your sweet tooth, wallet, and your bargaining edge. These deserts will be in high demand! This Holiday Season we are sponsoring an Angel Tree for our friends at the Grace House and Freedom House of Volunteers of America. On each Angel Ornament on the Christmas Tree in the Gathering area is a Christmas gift wish along with the name of a mother or child at either Grace or Freedom House. If you would like to buy a gift for one of these, please pick an angel from the tree. Take as many as you like! Wrap your gifts with the angel ornament attached and return to the church no later than December 21. Join us in sharing the Christmas Spirit with all of God's children this season!